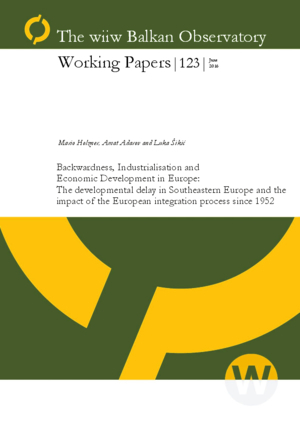 The present work uses long-term economic development data (1952-2010) as well as a detailed industry-level panel data (1963-2011) to analyse industrialisation patterns in Europe, implications of economic backwardness and the role of European integration in facilitating industrialisation and development. We find evidence of some income convergence in Europe, but mostly in countries that were able to exploit the ‘advantages of (mild) backwardness’. Regions of extensive backwardness such as the Balkans had difficulties to catch up. Membership in the European Union helped especially more backward economies to develop faster.